Photo courtesy of Rootstock Wine Bar Facebook page. 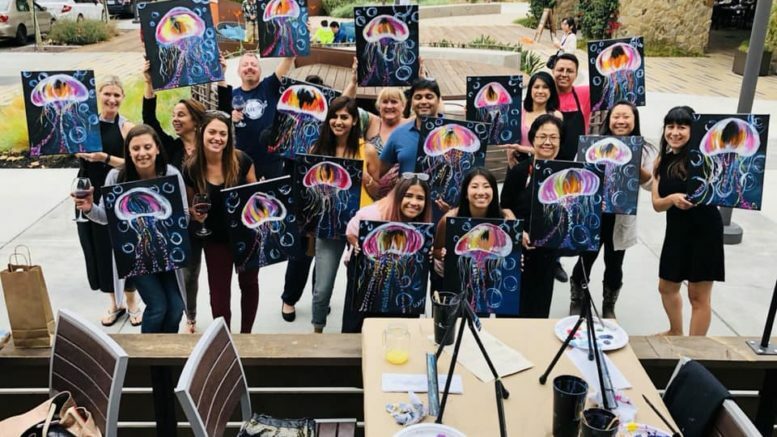 Rootstock Wine Bar is hosting a Paint Night on Jan. 20 from 1 p.m. to 4 p.m. at their Cupertino location, 19389 Stevens Creek Blvd. Master artist Grace Fuh will be leading the event with step-by-step instructions on how to re-create a ‘Purple Mountain Majesty’ landscape. All painting supplies will be provided and food, wine and beer will be available for purchase at the bar. Tickets are $45. Prior painting experience is not required to participate. Check-in begins 15 minutes before the event begins and 48-hours notice is required for cancellations/rescheduling. 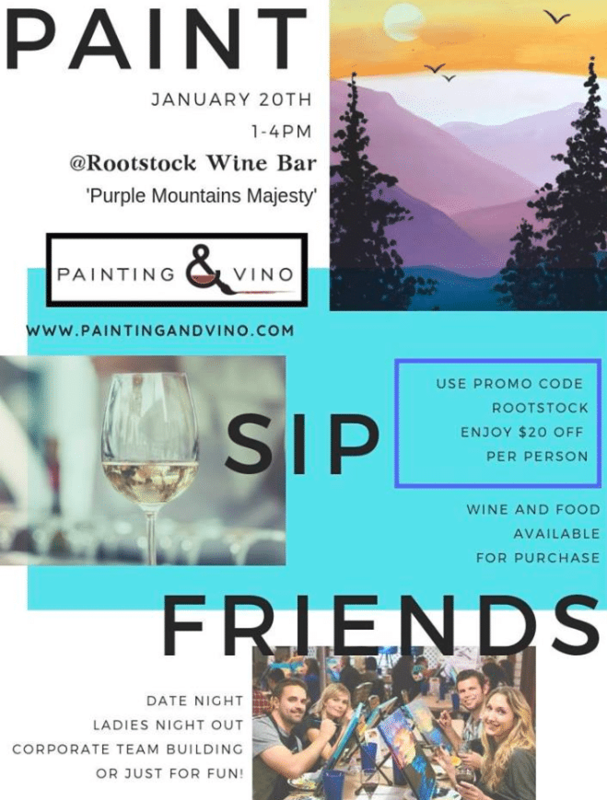 Be the first to comment on "‘Purple Mountain Majesty’ Paint Night at Rootstock Wine Bar"